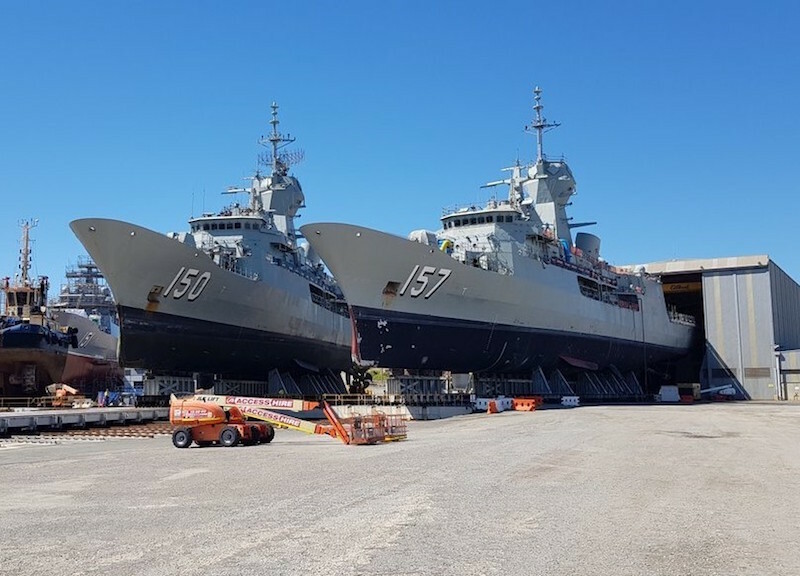 BAE Systems Australia has welcomed a third ANZAC class warship to its Henderson facility as part of the fleet upgrade to keep the ships in service until they are replaced by the Hunter class frigates. The Mid Life Capability Assurance Program (AMCAP) upgrade is being undertaken at Henderson by the Warship Asset Management Agreement (WAMA) Alliance. HMAS Anzac’s docking marks a significant milestone for BAE Systems, where it joins sister ships HMAS Perth (FFH 157) and HMAS Arunta (FFH 151). This will be the first time that three warships have been on the hardstand at the Henderson facility. Replacement of the full communications suite on the ship. BAE Systems Australia Chief Executive, Gabby Costigan, said: «The upgrade of the ANZAC fleet, through our role in the WAMA alliance, demonstrates the breadth and depth of work that BAE Systems Australia has done to date in the sustainment of the ANZAC class fleet over more than two decades. BAE Systems is an Australian industry leader in maritime sustainment. We are very proud of the skilled workforce capacity that we have grown to meet the technical challenges of maritime sustainment». HMAS Arunta (FFH 151), the first of class AMCAP ship, most recently had her old mast removed to make way for the installation of a newly developed Air Search Radar System. The new mast is currently being manufactured by BAE Systems and scheduled to be installed at the end of October. HMAS Arunta (FFH 151) will undock before the end of the year after having spent more than 12 months on the hard stand. She will then undertake sea trials ahead of a planned return to service in 2019.